Worcester Netball Club and University have first Netball Camp Success! Net First are a community interest company that is driven to develop sport for ladies within Worcestershire . With highly qualified experienced Nation, Regional and County coaches we bring fun, fitness and friendships into sport into the community and schools for all ages. With the support of our National Governing Body, the local council and clubs, the team at Net First look forward to helping you develop your passion for netball. Follow us on Facebook to keep updated with our latest news ! Since 2008 Trevor has supported the club in sponsorship both at team and individual level supporting a member through her NTL training and kit costs. We thank Trevor once again for his continued support and hope to help him on some community ventures throughout the year. 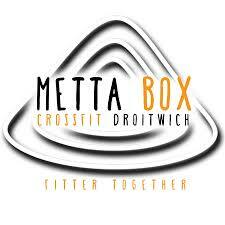 Metta Box CrossFit Droitwich is a locally owned, locally run, locally focussed functional fitness facility. We take an active approach towards being fit and healthy and encourage every person that steps through our doors to do the same. Read more about our mission and vision below. We provide a fitness experience that will not only get you into the best shape of your life but also ensure that your movement and posture is correct. We cater to all abilities. No level of fitness is required to train with us. All you need is commitment to be serious about getting fit. If you have that, we'll make sure you get the results you deserve. Our coaches are local, friendly, passionate and very well experienced. They also walk the talk, all of our coaches take their fitness and health very seriously. Limited offer on stocked colours so get in early for that great Christmas or Birthday present! 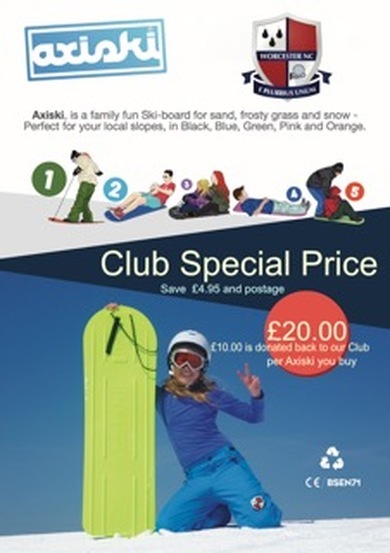 or if you just want to have some fun without a reason..
At Axiski HQ, we have always spoken about giving something back to our community in any way we can, and we wanted to start doing that as soon as possible, so as part of our ongoing plan to support our local community, we are sponsoring the Worcester Netball Club. We are very happy and honoured to be working closely with the club as they, and many other clubs around the UK like them, offer a great way to teach young people a whole raft of important things such health, fitness and discipline helping towards their success moving forward in life and education. We’d like to thank WNC for allowing us to support them, as they in turn are also supporting us! CBG Trade Ltd - are a leading supplier of Sportswear, Promotional Items and Gifts as well as Branded Products and Merchandise in the United Kingdom. We have over 30 year experience in the business providing clothing and business gifts to blue chip companies, County councils, schools and individual medium to small businesses. This means you are drawing from expertise and getting the best value for your money for all your promotional needs. We have been suppliers to Worcester Netball for over 7 years with a good relationship for sports kit, and promotional items including banners and giveaways. As a local company it give us a strong relationship with local sports teams and the County netball Association which are both a pleasure to work with.